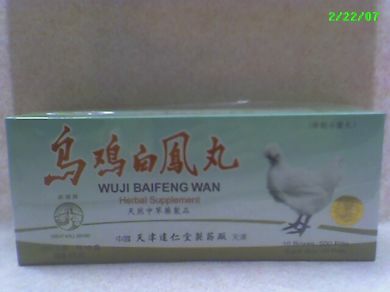 Wuji Baifeng Wan tonifies blood and qi, warms the uterus, nurtures yin, resolves stagnation of liver qi and blood. Use for menstrual disorders due to deficiency or cold, including amenorrhea, dysmenorrhea, or infertility, pregnancy. Beneficial in post-partum fatigue. 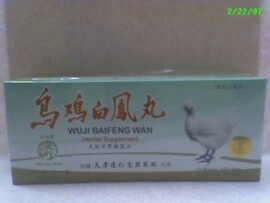 Effective for menstrual cramps and pre-menstrual syndrome due to blood deficiency, stagnation and congestion of liver qi. Also useful for habitual dry cough or dry skin.